When Galileo pointed his telescope at Saturn, he declared it a planet… with ears! The planet Uranus was originally not called Uranus. It was called George! This is the book of the award-winning Solar System for iPad. 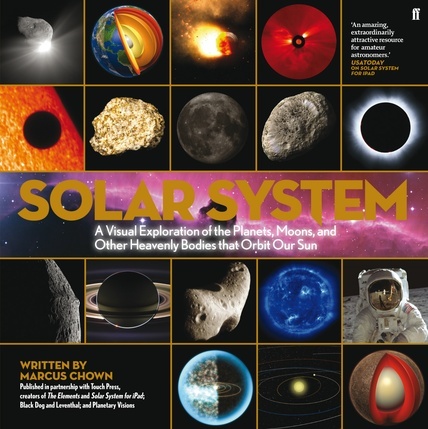 Written by former CalTech astronomer, Marcus Chown, and with the very best of the 800 images of the interactive book, Solar System is an awe-inspiring introduction to our cosmic backyard.